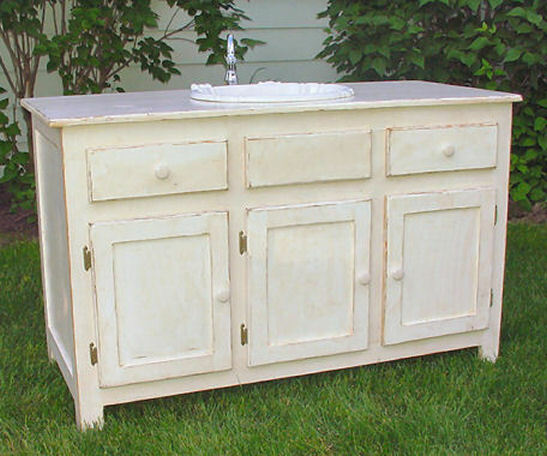 This Customer loved our Buffets so much that she wanted to have one as a Bathroom Vanity. It worked out nicely. Crafted completely from Pine the top has several coats of Minwax Urethane to help it hold up to the moisture. Another great example of Custom-Made Furniture.